The weekend warrior season is upon us. Many of us take advantage of the warm sunny weather to engage in outdoor sports. Whether it is climbing, biking, hiking or team sports, we are more apt to push our bodies to the limits of physical exertion. Such exertion if we are not careful can lead to acute or chronic injuries. This summer, we at legitmassage.com will examine different injuries that we are all susceptible to and explain what we can do to avoid injury and what measures to take if we encounter an injury. We will address self-care (the kind of care that aids the healing process between massage sessions) as well as different massage techniques to address specific muscle and tendon injuries. 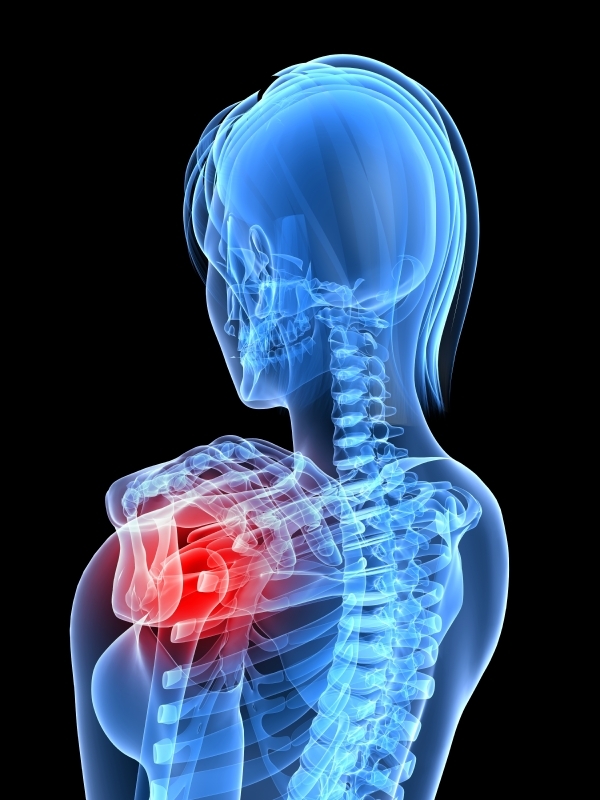 This week we take a look at common rotator cuff injuries. The rotator cuff is made of four different muscles called the SITS muscles that move and stabilize the shoulder joint, a ball and socket joint that allows the arm to move in many directions. Made up of the upper end of the bone of the upper arm (the humerus), the shoulder joint fits into the glenoid fossa of the scapula and is kept in place by the joint capsule and the labrum. The labrum is a series of cartilage bands that allow the shoulder joint to fit snugly. The SITS muscles are the Supraspinatus, Infraspinatus, Teres Minor, and Subscapularis. They share attachments on the scapula and the humerus. There are many ways to injure a rotator cuff and they range from acute trauma to chronic overuse. Aging also plays a factor in rotator cuff injury. A fall or an accident can damage the rotator cuff as can overuse of the shoulder joint such as occurs with any overhead movement like throwing a ball, weight lifting or painting. Injury to the rotator cuff results in pain and spasm and limits range of motion of the shoulder joint. Other range of motion limitations results from the accompanying inflammation or swelling from the injury. Arthritis and calcium deposits and other aging factors also limit range of motion. When the rotator cuff is overused and undergoes poor mechanics, tendinitis may be the result. Tendinitis is marked by a deep pain over the shoulder during and after exertion, inflammation and decreased range of motion. Because the area where the muscle tendons attach to the bone, the musculotendinus junction, has a limited blood supply, tendon fibers can die and lead to weakening of the tendon and eventual tearing. Treatment of the rotator cuff varies depending on the severity of the tear, tendinitis or any other condition as a result of the initial injury. If the cuff is completely torn, well then you may have already sought prompt medical attention. However, if the muscles are partially torn or strained then surgery or any other invasive procedure may not be necessary. The first couple of days after the injury or when pain first surfaces from chronic overuse, it is better to follow the steps of RICE: rest, ice, compression, elevation. Afterwards, massage and physical therapy are ideal treatments. In addition to exercise to strengthen and condition the afflicted muscle/s, massage will address the pain, the spasm, and range of motion limitations. Lymphatic drainage may be used to reduce swelling. Trigger point compression may be used to reduce muscle tightness and trigger points. Pain-free passive joint movements are used to maintain range of motion. After a few weeks, heat may be applied to the injured site as well as more direct therapy techniques to reduce adhesions and scar tissue such as direct friction to the muscles and tendons. In the meantime, between massage treatments which may range from two to three times a week for three weeks and then gradually decrease in frequency, a series of self-treatments such as hydrotherapy, stretches, and resistance exercise will keep you on the road to recovery. In the chronic stage of healing, six or so weeks after the initial injury, you may find a contrast bath to be soothing. Contrast bathing consists of 3 parts heat to 1 part ice or 15 minutes of heat to 5 minutes of ice. *Remember heat and ice are good, but too much of a good thing can become a bad thing* so limit the duration of hydrotherapy. Be mindful of stretching and strengthening and try not to do too much at once. This will also be a good time to change the mechanics and equipment that may have contributed to the injury in the first place. Re-education is valuable and combined with all of the other treatments will get you back in the game stronger and smarter than before.